The whiskey company Ardbeg found differences in the taste of whiskey after it spent two years on the International Space Station. After spending more than two years in a weightless environment, whiskey distillate on the International Space Station (ISS) tastes different from samples on Earth, a whiskey company reported. 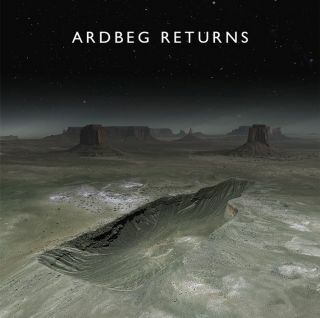 Scotch whiskey company Ardbeg rocketed the samples into space along with an ISS crew at the invitation of NanoRacks LLC, the company that manages experiments on the U.S. side of the station. Shortly after launch, in January 2012, astronauts broke open the glass separating the distillate (which is usually put into oak barrels to mature) and oak wood shavings, modeling the whiskey-making process where the substance is normally put in oak barrels to mature. At the same time, they ran a parallel test on Earth. Although there were a few differences observed after the whiskey had spent 971 days in space, the biggest one was how many small molecules from the wood, called wood extractives, had made their way into the samples. The levels of wood extractives were much higher than they would have been if the whiskey had matured in barrels on Earth, due to the larger amount of surface area available when using wood shavings instead. "I was expecting a little different flavor. However, when myself and my team went to nose and taste the samples ... I was quite astonished at how different the samples were," Bill Lumsden, Ardbeg's director of distilling, said in a YouTube video about the experiment. Although the results are quite new, Lumsden pledged to try to find ways to incorporate the new flavor into his whiskey. He also said he hopes to send more samples to the space station for "something more advanced" but didn't elaborate on what that might be. This is the first such experiment for a whiskey maker in space, the company said, but there have been many other experiments involving beer and liquor. Just last month, Japan's Tokyo-based Suntory Global Innovation Center launched five different samples of booze to the International Space Station aboard a Japanese cargo ship as part of an experiment to study how whiskey "mellows" in space. Among other recent experiments, an 11-year-old's concoction flew on the ISS, and another company launched yeast on a sounding rocket that was later collected to form the basis of a beer.